The Swagman has been specifically designed with modern, smaller homes in mind. As our most compact wood heater, it is perfect for space saving while still efficiently heating up to 148m2, or approximately a three-bedroom home. Featuring a pedestal base to raise the firebox 320mm from the floor. The Swagman promises to be an attractive, stand-out feature of any room. The Swagman can also be custom-made with four steel legs, instead of a pedestal, so that it is in keeping with the style of heritage and character homes. All Jarrahdale Wood Heaters are made right here in Perth, Western Australia, to strict Australian Standards using locally-sourced steel. Our fireboxes are made using 6mm solid steel while all other components are 8mm solid steel. 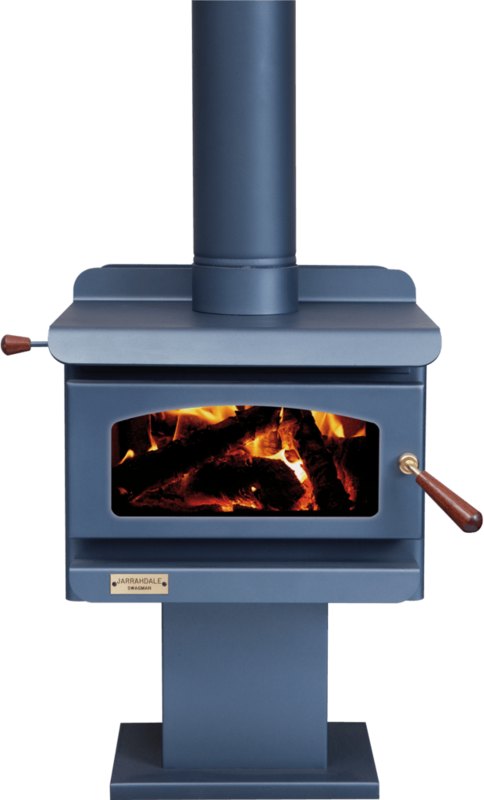 If you would like to know more about the Swagman freestanding wood heater, please fill out the form below and one of our friendly staff members will be in contact with you as soon as possible.